KANSAS CITY, Kan. — A Kansas man who sympathizes with the barbaric Islamic group ISIS, which identifies itself as the Islamic State of Iraq and Syria, has been sentenced to 30 years in prison for plotting to detonate a bomb on a U.S. military base. “With this sentence, John Booker is being held accountable for his plan to kill U.S. military personnel on American soil in the name of ISIS,” Acting Assistant Attorney General Dana Boente said in a statement issued by the U.S. Department of Justice. John Booker, Jr., 22, of Topeka, pleaded guilty in February 2016 to one count each of attempted use of a weapon of mass destruction and attempted destruction of government property by fire or explosion. 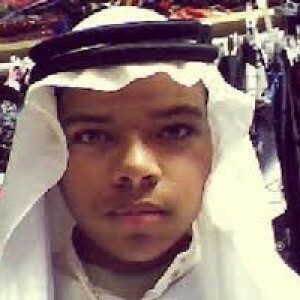 He admitted that he had been plotting to detonate a car bomb at Fort Riley in a jihad suicide mission motivated by a desire to help ISIS. Booker also recorded a “martyr” video that he intended to be viewed following his death, and hinted at his plans on social media. As previously reported, Booker enlisted in the Army in February 2014, but was discharged after the FBI received a tip about his alleged aspirations to mimic the Fort Hood massacre. The FBI then used informants to communicate with Booker, and pretended undercover to assist him with making a bomb—which was actually inert. According to the U.S. Department of Justice, Booker rented a storage shed where he assembled the device, and then transported it to a gate that he was told led into Fort Riley. He was arrested after making the final connections that he believed would ready the device for destruction. “The FBI and our law enforcement partners remain committed to protecting the citizens of the United States and thwarting acts of terrorism,” he advised. Booker’s friend, Alexander Blair of Topeka, had also previously plead guilty to knowing about Booker’s plan and loaning him money to rent the storage shed. He was sentenced to a year and three months in prison.